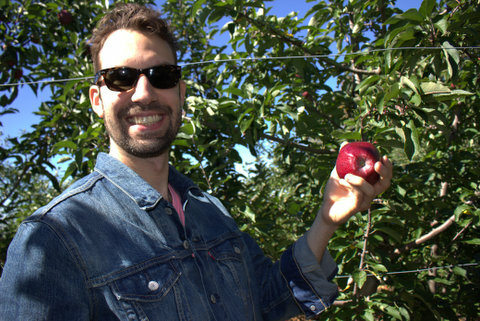 A couple of weekends ago, Matt and I made our annual trip out to the apple capital of the world, Warwick, NY (read about our other trips here and here). This year we invited our friends Lucy and Smeets along for the adventure. 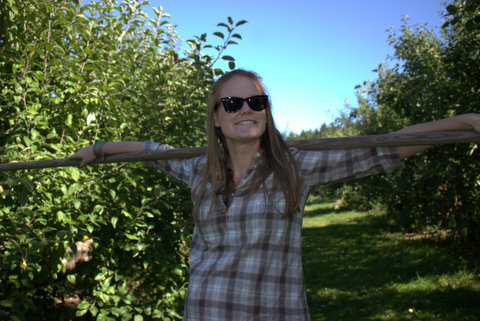 Lucy grew up in Massachusetts, and as such, it is apple picking pro. 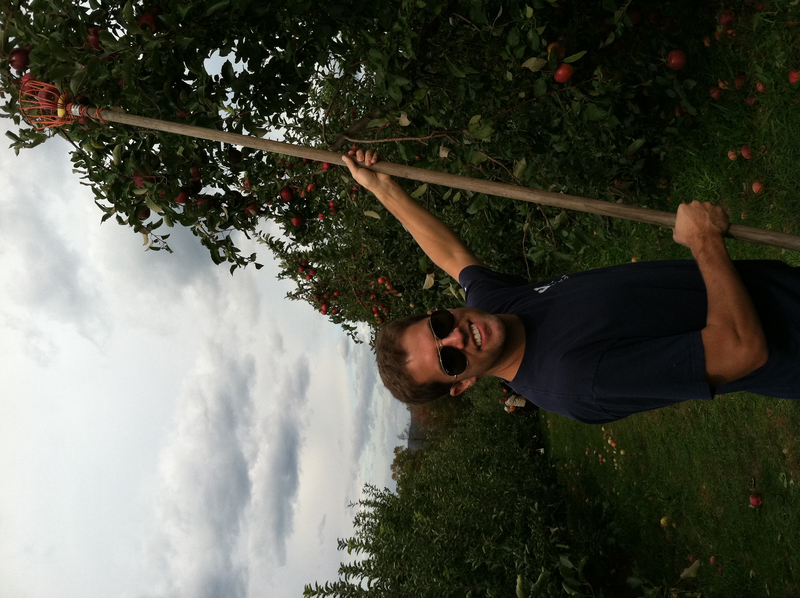 I was shocked/mortified to hear that Smeets, who grew up in Westchester, NY had never been apple picking. Talk about a deprived childhood. 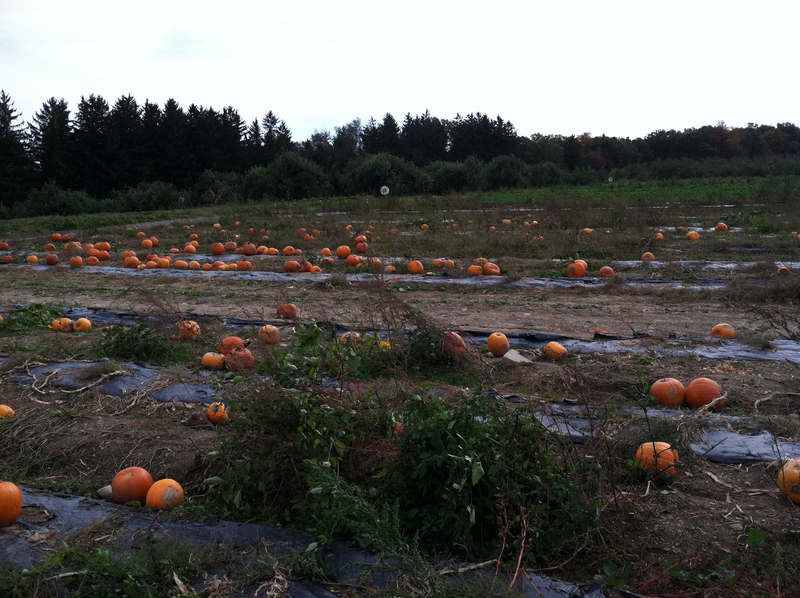 So, we all piled into our car on Sunday morning and drove out to the country to partake in one of fall’s greatest traditions. 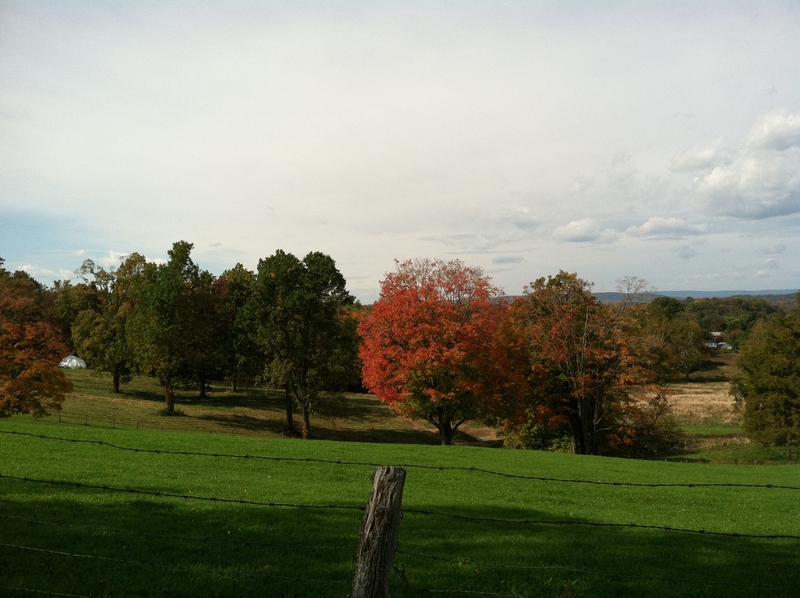 We decided to go to Och’s Farm again, followed up with a stop at the Warwick Valley Winery and Distillery. – why mess with a good thing. 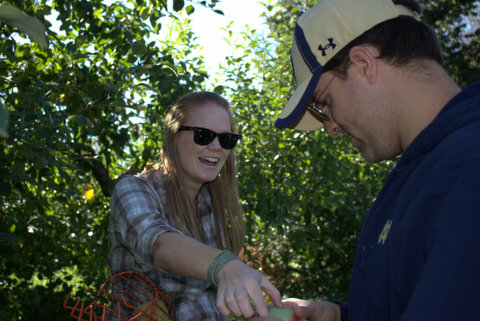 The weather was picture perfect and there were plenty of apples to choose from. I always love hanging out with Lucy and Smeets, not only are they fun people who are up for anything, but they have a really nice camera and get into taking pictures. 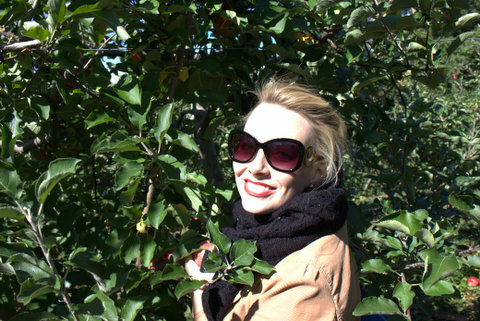 So our apple picking trip turned into a mini photo session – perfect for the blog! I’m happy to report that this weekend, I officially checked something off of my Fall To Do List. 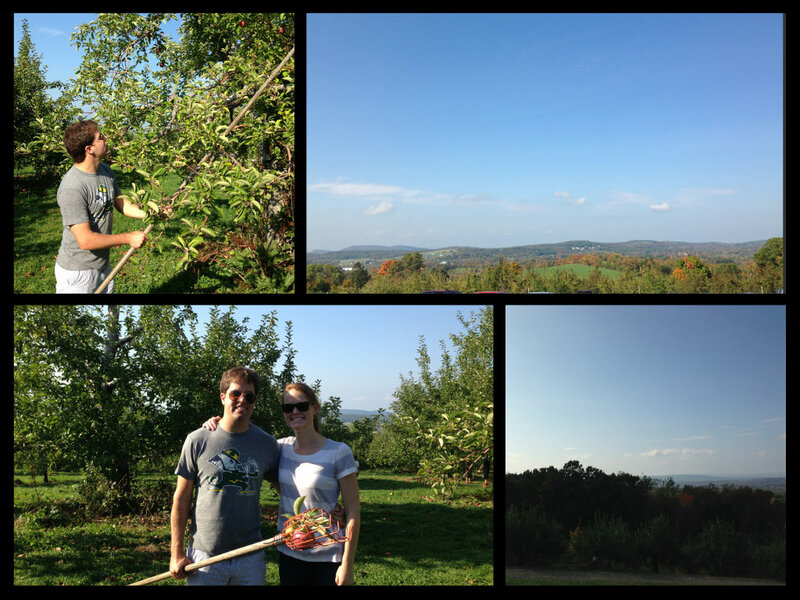 On Saturday afternoon, Matt and I hoped in our car and drove out to Warwick, NY for our annual apple picking trip. Some of you more loyal followers may remember that we went out there two years ago and had a great time. 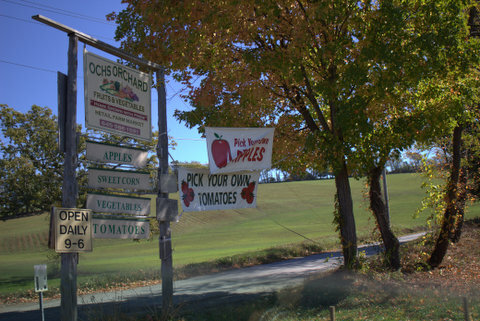 Well after doing a decent amount of research to find a great orchard, I settled upon Ochs Orchard. 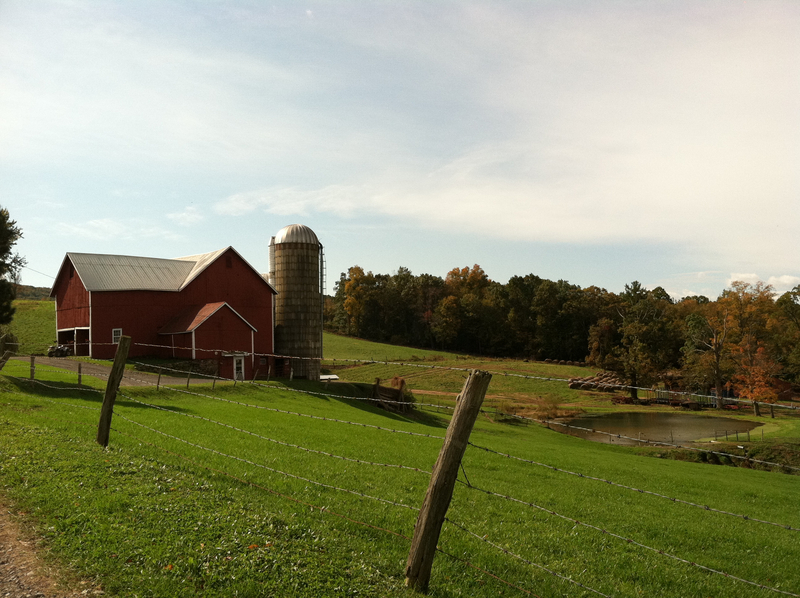 It wasn’t until we were driving up the scenic road that leads to the farm that I realized it was the exact same place we went two years ago. Guess that research really paid off. 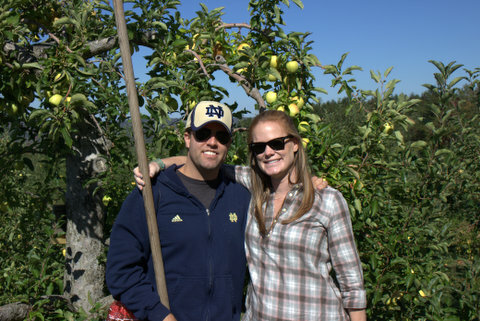 This year we were joined by two of my favorite people, Lindsay and Mike. I used to work with Lindsay and they are SUPER fun to hang out with. Let’s be serious though… the bar was pretty low since the bulk of our free time is spent with Kinsella and Brent, two of Matt’s boyfriends who mostly enjoy bars, Notre Dame football and talking about finance. No offense boys, but it wasn’t my dream to get married and live the single boys life. 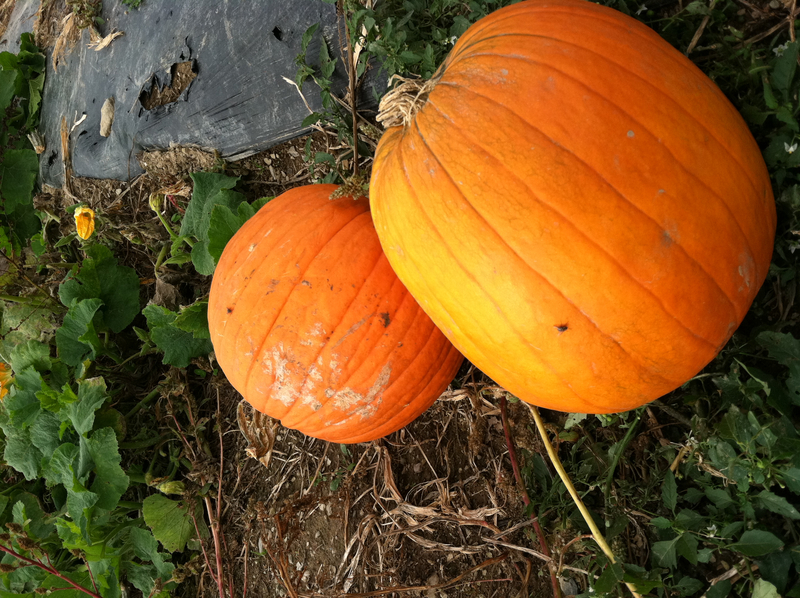 We picked a giant bag full of apples and a pumpkin that is sitting on our counter, just waiting to be carved. Afterward we headed over to the Warwick Valley Winery and Distillery. We arrived at 5pm, just an hour before closing. 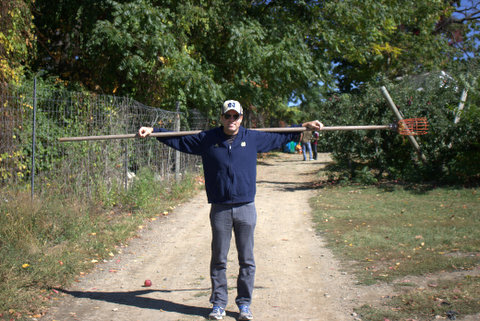 I was definitely bummed that we didn’t come earlier (they have apple picking there too) but it worked out well since the place was packed, but since we arrived late, people were leaving and we had no problem finding a table. 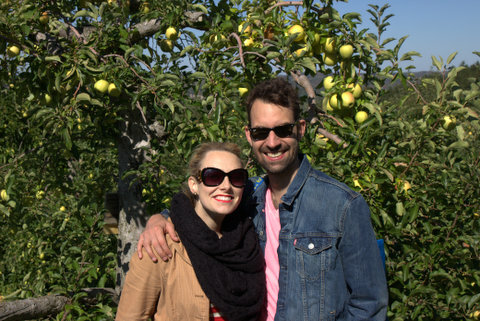 Here’s to couple friends, fall and a week full of apple recipe posts! 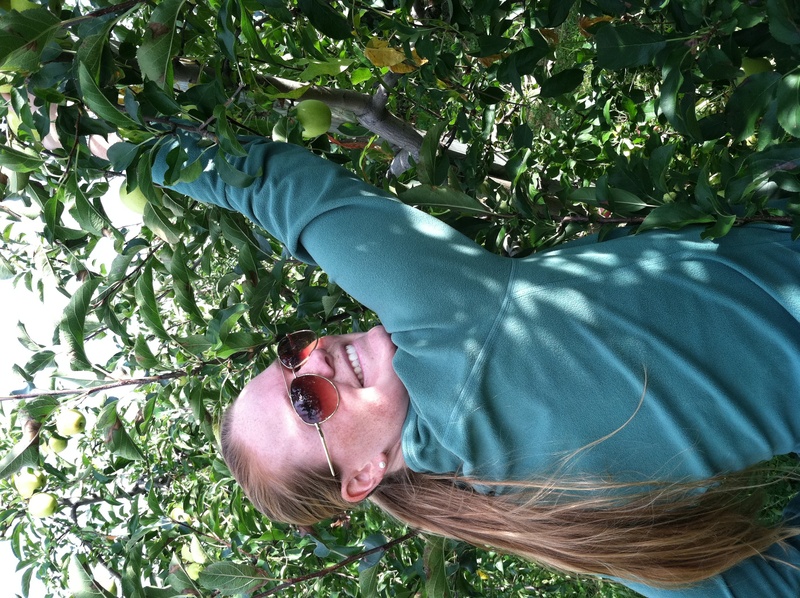 Last week we received an awesome email from the Senior Vice President of Programs at Robin Hood. It is important that I try to characterize this man for you all, or else this won’t seem as funny. This man is an very accomplished researcher who graduated from MIT with a PhD in economics and served as a former New York Times editor. He is, for lack of a better word, a little nerdy. He developed our system of “metrics” which is used to measure the effectiveness of our poverty fighting programs through a series of formulas (basically he did for Robin Hood what Theo Epstein did for the Red Sox). We all love him, but he certanily isn’t a wild and crazy type guy. 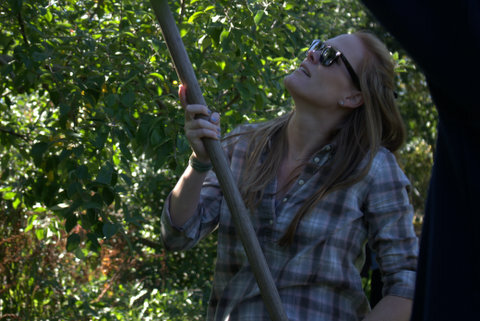 “I’m not exactly the sharing kind when it comes to identifying new waves of popular culture. But someone has to step up now that Jim is leaving. I hereby lay claim to moving to the forefront of the culture battleground. One week from tomorrow (Tues., Oct. 25 at 1 p.m.), I will accompany my 95-year-old mother-in-law, to Union Square where she will participate in a “Flash Mob.” [My Times style manual betrays me. What’s the proper verb: does one participate in a flash mob; do a flash mob; perform a flash mob? perform in a flash mob??} In any case, I have inside information that there will be a “wardrobe malfunction” as part of the routine. Imagine. So on Tuesday, the entire Robin Hood staff ventured outside to Union Square to witness one of the greatest flash mobs in history. And thankfully, it went off without the wardrobe malfunction! 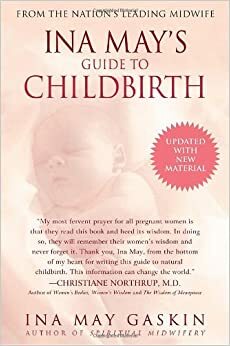 Grandma and Grandpa – you’re next! On Sunday Matt and I (ok, more like I) decided that we would rent a zip car and get out of the city for the day. 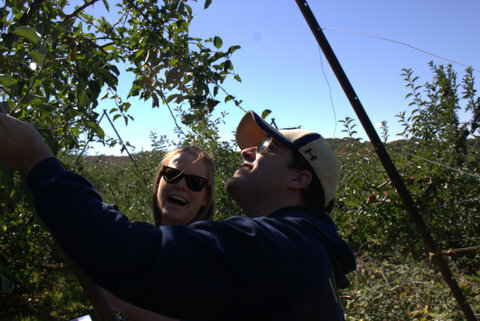 And what is a better fall activity than apple picking and leaf peeping? 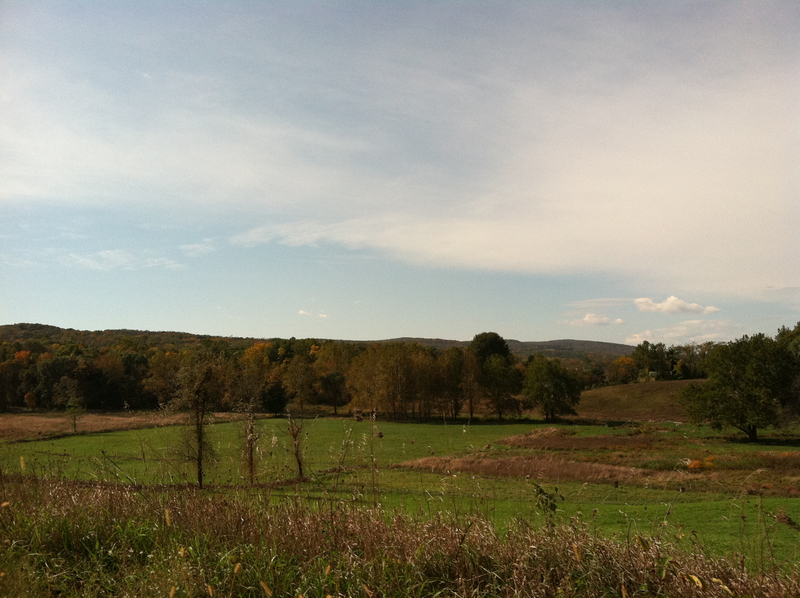 So we hopped in our car and drove up to Warwick, NY for a lovely day. We ended the day by coming home and making apple muffins, which I brought into work this morning, and an apple and chicken dish for dinner, both recipes were from our apple cook book that our favorite younger sister, Courtney, purchased for us for Christmas last year! 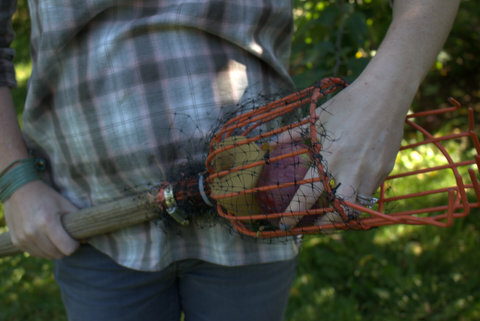 Considering we picked nearly 6 dozen apples, I have a feeling we will be using that cookbook a lot over the next week or so. Every year millions of tourists come to New York City to catch a glimpse of the famous Rockefeller Center Christmas Tree and skate a few laps around the world-renowned ice skating rink. The tree gives people a reason to celebrate. It serves as a symbol of hope, a beacon of peace and is the official sign that the holiday season is upon us. 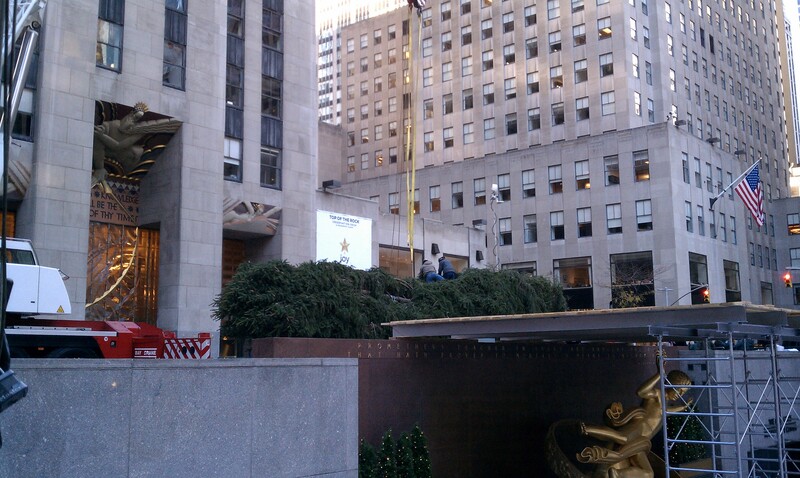 This year’s tree arrived in Rockefeller Center this morning and will be raised later today. No matter how hard I try to hold off on celebrating Christmas until Thanksgiving has passed, it is difficult not to be excited by this sight. 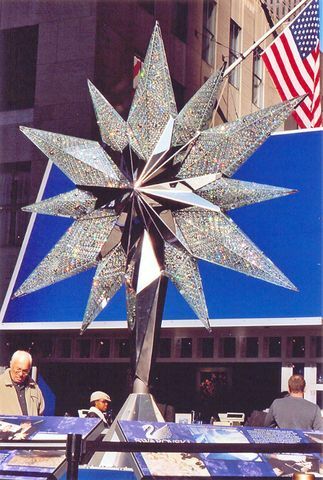 Although the official Christmas tree tradition at Rockefeller Center began in 1933 (the year the 30 Rockefeller Plaza opened),the unofficial tradition began during the Depression-era construction of Rockefeller Center, when workers decorated a small 20 foot balsam fir-tree with strings of cranberries, garlands of paper, and even a few tin cans on Christmas Eve, December 24, 1931. Some accounts have the tree decorated with the tin foil ends of blasting caps. Click here for a photo tribute and history of the Rockefeller Christmas Tree. 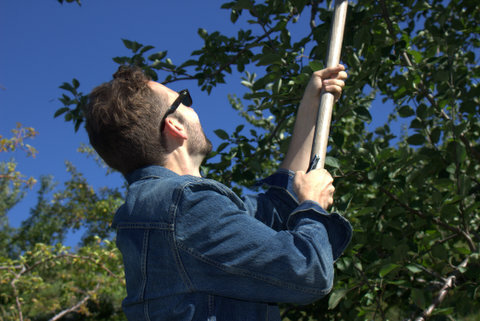 Many Rockefeller trees were given to Rockefeller Center by donors.Members of the Gardens Division of Rockefeller Center, scout in a helicopter for the desired tree in areas including Connecticut, Vermont, Ohio, upstate New York, New Jersey, and even Ottawa, Canada. 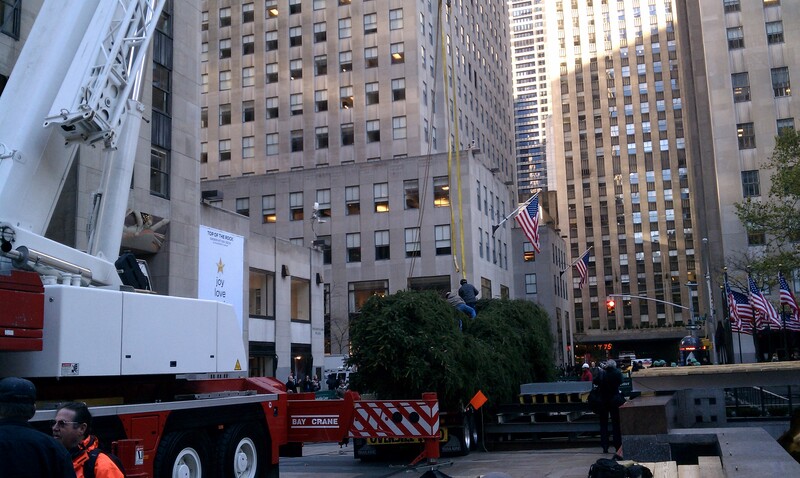 Once a suitable tree is located, a crane supports it while it is cut, and moves it to a custom telescoping trailer that can transport trees up to 125 feet (38 m) tall, although the width of New York City streets passing through Rockefeller Center limits the height of the trees to 110 ft. This year’s tree is 74 feet tall and hails from the town of Mahopac (in Putnam County) which is located approximately 50 miles from Manhattan. The 75-year-old Norway spruce, is especially meaningful since it comes from the yard of 9/11 first responder and firefighter and was found on September 11th of this year. Once at the Rockefeller Center, the tree is supported by four guy wire attached at its midpoint, and by a steel spike at its base. Scaffolding is put up around the tree to assist workers in putting up 30,000 lights attached to 5 miles of wiring. 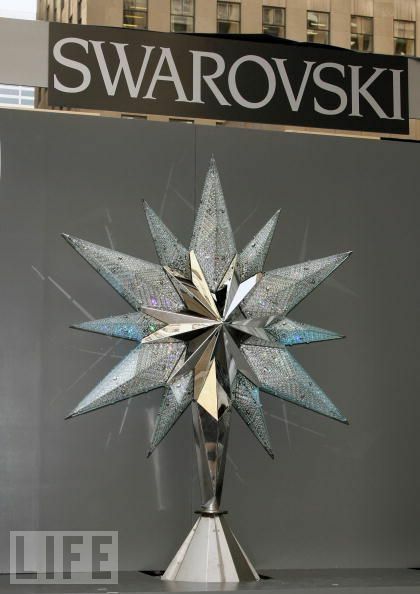 The star that has topped the tree since 2004 is 9.5 feet in diameter and weighs 550 pounds and is made out of the famous Swarovski crystals. 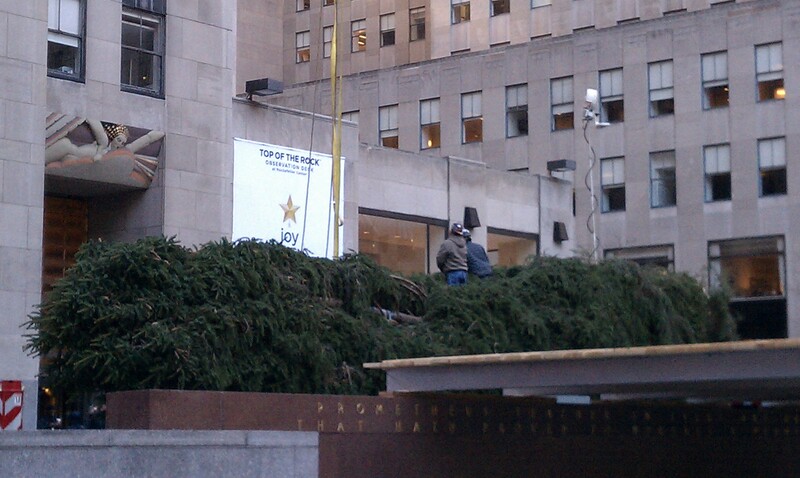 This year, the annual Christmas at Rockefeller Center tree lighting celebration will take place on November 30, 2010. Yesterday was a truly great day. After a delicious breakfast prepared by Matt, we decided to go for a long bike ride. Biking north along the Hudson River, we eventually made our way up to the George Washington Bridge and left the island (a rare occurence for most Manhattanites). Biking across the bridge is slightly terrifying as you attempt to navigate the 4 foot wide sidewalk that is inevitably filled with pedestrians and another bikers. However, as you make your way across the bridge, the most breath-taking view of the city appears behind you. It almost makes you happy to live in New York. Once we made it across the bridge, we started our bike out into the suburbs. Biking along 9W is amazing as you can essentially bike forever without having to turn or worry too much about cars. 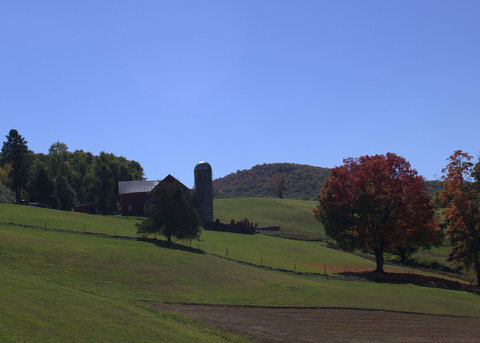 As we rode down the hills and into Rockland County, I suddenly started yelling at Matt to pull over and stop. He thought something was wrong, but as I pulled up, he noticed that I had a big smile on my face. I told him to look at my odometer and we celebrated the fact that I had joined the 1,000 mile club! The only thing is… I made up the 1,000 mile club and if you were to ask any serious cyclists about it, they would laugh saying that they bike that much in a week. 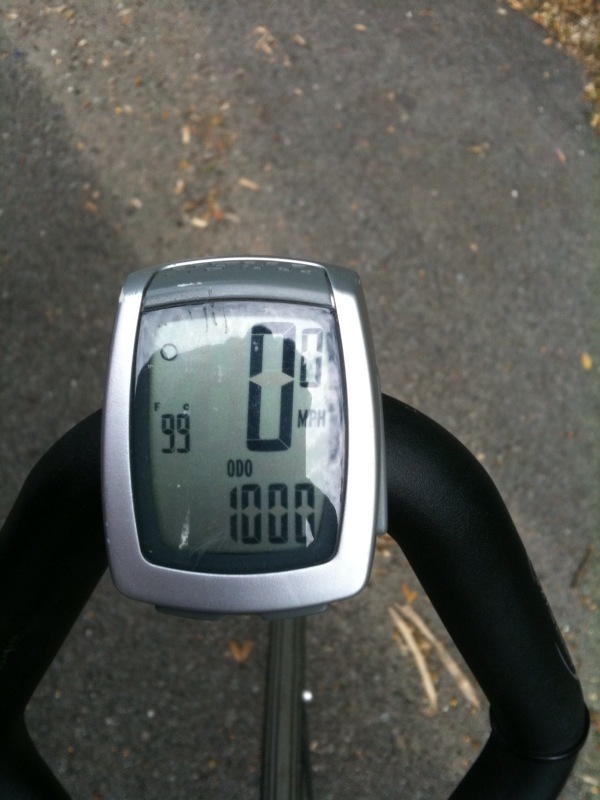 However, I was psyched to see the mileage change from 999 to 1,000. And when the temperature is over 90 degrees and you still have to bike 20+ miles back to your apartment, you celebrate the little things. We stopped in Piermont, NY which is a small village along the Hudson with an impressive view of the Tappan Zee Bridge. We refilled our water bottles and each had a popsicle in attempts to cool ourselves down. Finally we hopped back on our bikes and started the dreaded ride home. 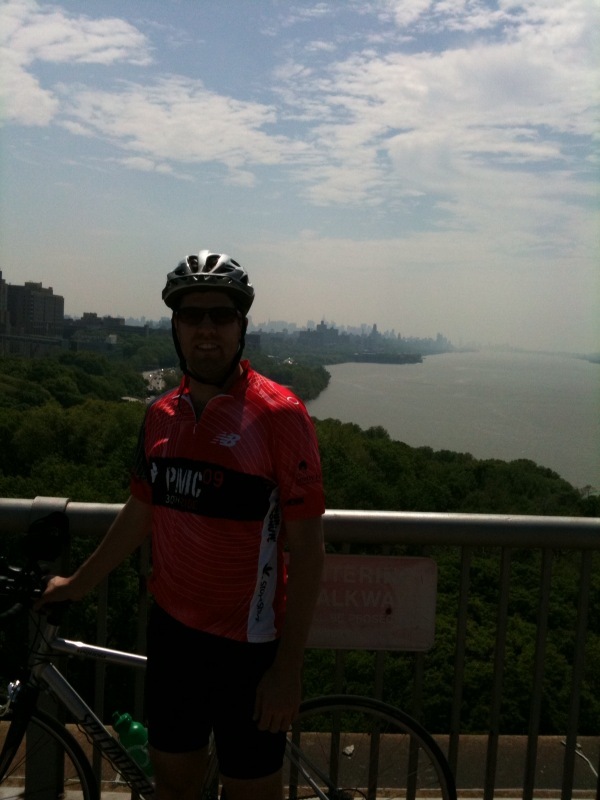 The hills were hard and the sun was hot, but eventually we made it back to the GW bridge. Anxious to get home, and very tired, I made my way back across the bridge. At the very end of the bridge, there is a ramp that is, at most 3 feet wide, and contains a hair pin turn. As I made my way down the ramp, I unclipped one foot to help balance myself as I took the corner. Unfortunately I unclipped the wrong foot and fell scrapping my hand and arm along the side of the ramp. My mom, who also bikes frequently with my dad, has had a few falls. Typically, when she tells me about them, I tend to find it funny. This time, when it happened to me, it wasn’t quite so funny. We eventually made our way back to our apartment, although I wasn’t sure we were going to. I was exhausted and could barely grab my handle bars. We ended the day with a spaghetti dinner (my favorite) with the pasta sauce I made on Friday (as mentioned in the last post). It was delicious! I went to bed at 10pm with sore legs and a full belly. The perfect ending to the perfect Sunday.